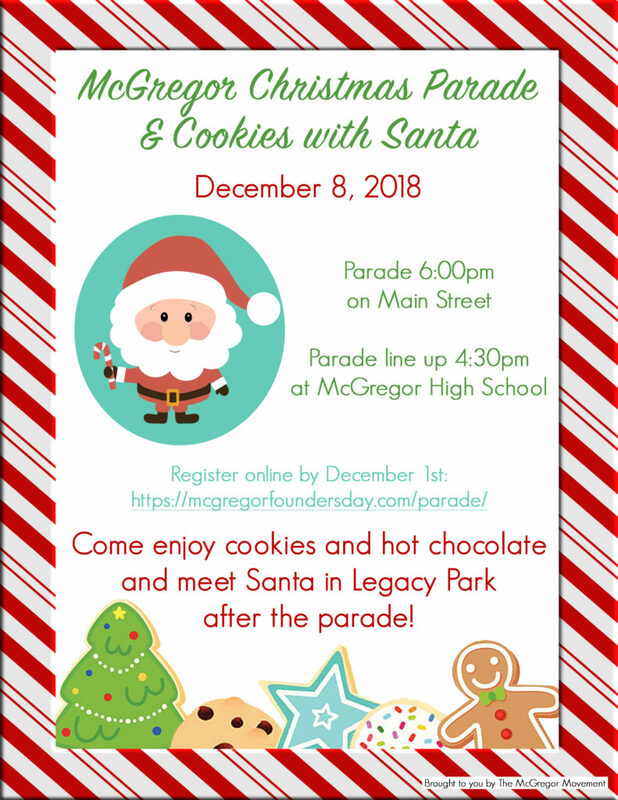 McGregor’s annual Christmas parade begins at 6:00 on Main Street. Come enjoy cookies and hot chocolate and meet Santa in Legacy Park after the parade! Register for the parade online by clicking here!